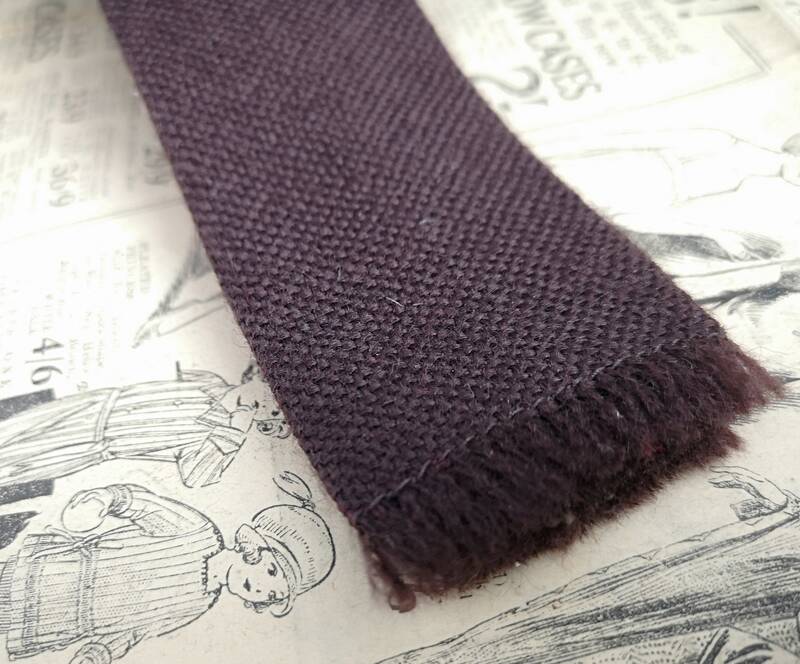 A nice vintage pure wool, straight edged, gents necktie in a deep red wine / burgandy shade. 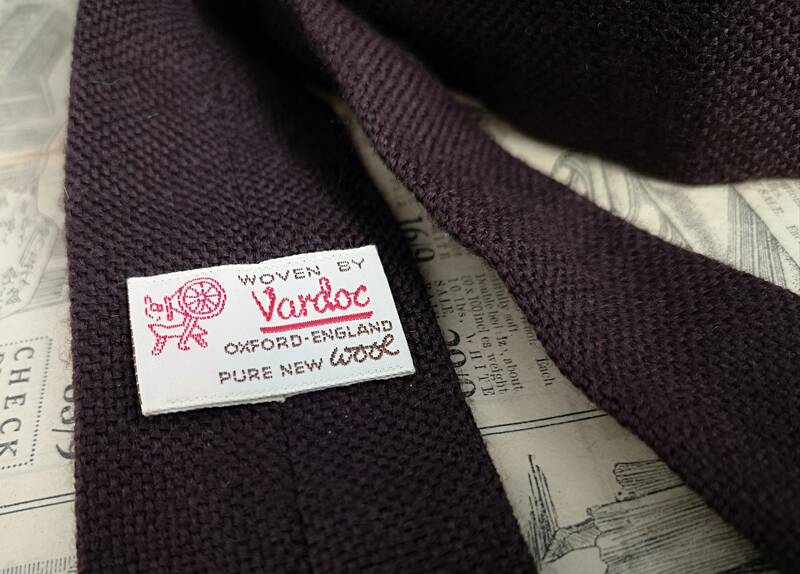 Made in the late 50s by Vardoc, Oxford, England. 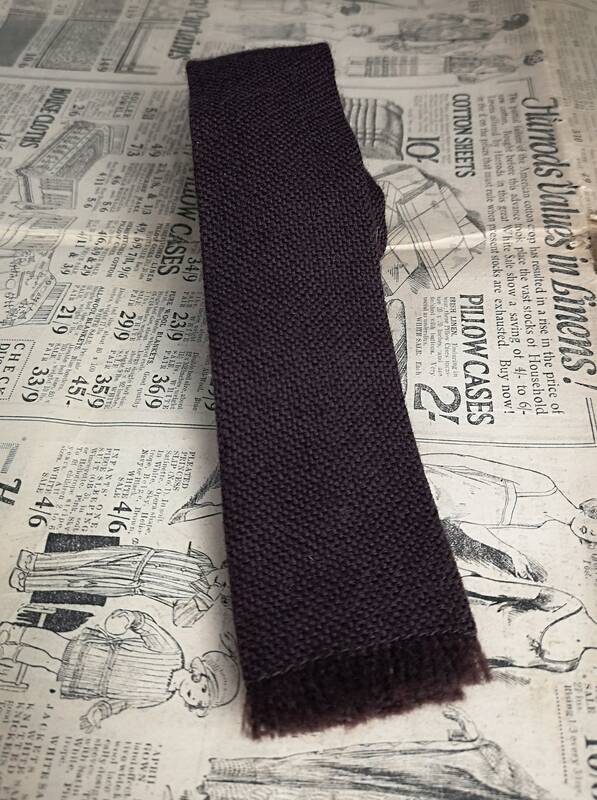 It is a skinny tie, the edge with an unfinished look. 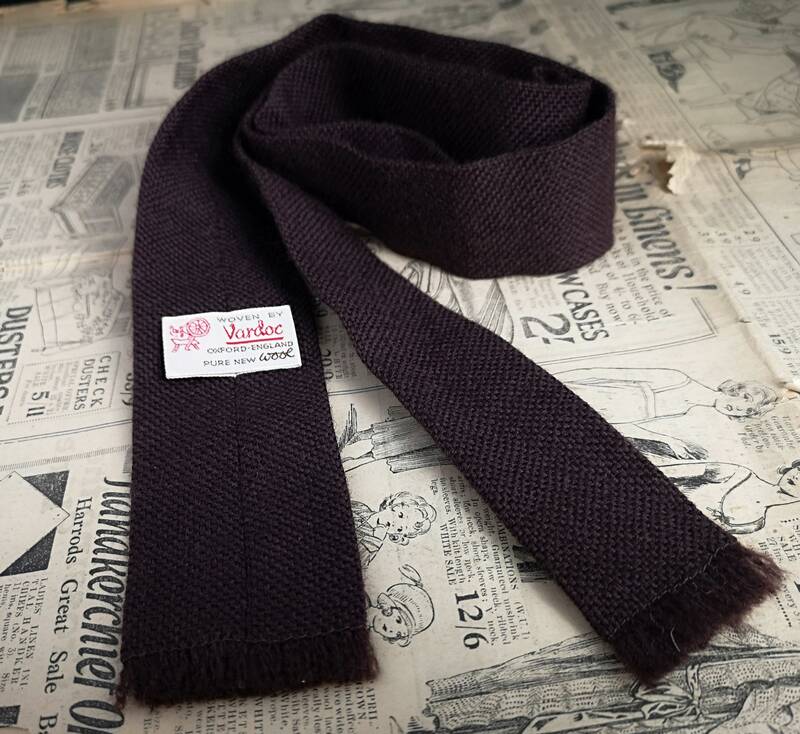 Approx 52" total length, 2" width at the widest point.